To the average fan, 22 years seems like an awful long time between solo albums. But to Jeff Lynne, it’s no big deal. 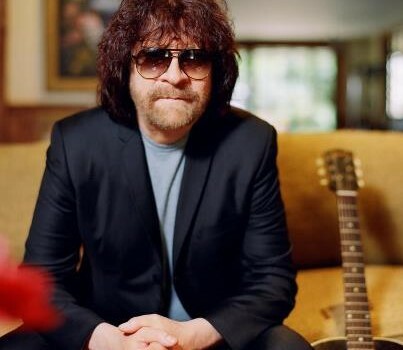 The longtime Electric Light Orchestra leader, former Traveling Wilbury and mega-producer has had his hands full over the past two decades. He even managed to squeeze in two albums of his own and release them on the same day: Oct. 9, just two weeks ago. His new album, “Long Wave,” is a tip o’ the hat to his favorite songs growing up, and the second album is self-explanatory: “Mr. Blue Sky: The Very Best of Electric Light Orchestra,” his faithful reworkings of ELO hits. After 20 years leading ELO and producing such legends as George Harrison, Roy Orbison and Tom Petty, Lynne released his solo debut album, “Armchair Theatre,” in 1990. It contained several Lynne originals, including the singles “Every Little Thing” and “Lift Me Up,” and a pair of standards covers, “September Song” and “Stormy Weather.” Harrison, Ringo Starr, original ELO keyboardist Richard Tandy and Del Shannon gave a helping hand. The reviews were mostly positive, but the album had limited success: It only reached No. 83 in the U.S. and No. 24 in the U.K., and there were no hit singles. For “Long Wave” (which, BTW, debuted in the U.K. Top 10), Lynne went back to the standards, choosing pre-rock and ’60s hits that influenced him. “I revered these songs so much as a kid, but I hated them, too,” he said, with a laugh, “because I couldn’t figure out how to play them. The arrangements are so warm and friendly, but they’re a lot more intricate than the basic three-chord rock ‘n’ roll. I studied these songs meticulously, I learned every note. The trickiest was Orbison’s “Running Scared,” because of Lynne’s own friendship with the late rock pioneer. Orbison was one-fifth of the late ’80s supergroup Traveling Wilburys — with Lynne, Harrison, Petty and Bob Dylan. Working on “Traveling Wilburys Vol. 1” (1989) was the thrill of a lifetime, Lynne said. And it’s far from over. Lynne says he’s working on remastered and expanded versions of “Armchair Theatre” and “Zoom,” as well as a live album.